We started this year’s mission trip to Tanzania in the town of Mwadui, in the distance you could see huge piles of dirt and tailings from a nearby diamond mine. 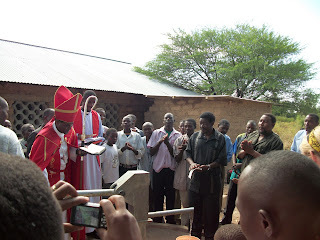 There a well, next to the church, was dedicated by Bishop Gulle. This was one of three wells paid for from the offerings of hundreds of children from Schools and congregations from the Mid-South District. 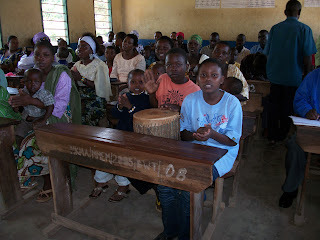 The trip ended at the last service at Mwendakulima in a small school room. After the service we drove to the foundation for their new church building to ask a blessing on the congregation and their new venture. This backdrop was a mile or two from piles of dirt from the new Gold Mine in Kahama. We did not return to the USA with any Diamonds or Gold but with a sweet taste in our mouth as we recalled the many new friends we met in the small villages. We have so many pleasant memories of the hundreds of people who joined us in baptisms. Over 800 men women and children were baptized during our short stay. A perfect testimony to David’s words in Psalms 19....... The law of the Lord is perfect restoring the soul The testimony of the Lord is sure making wise the simple. The needs are many but we see the obvious needs for more Pastors and evangelist. 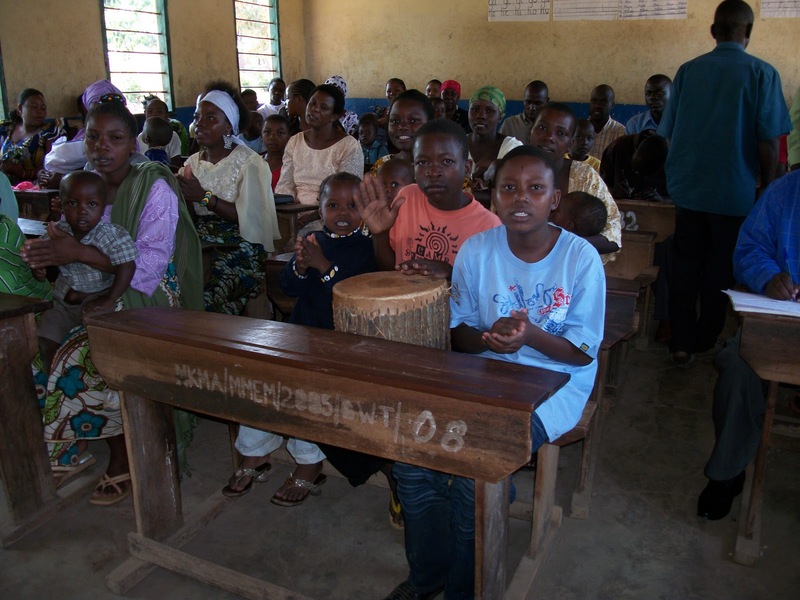 We continue to support the Mission Training Centers where the lay evangelist are trained but we also need to find a way to support those men who want to attend the seminary.